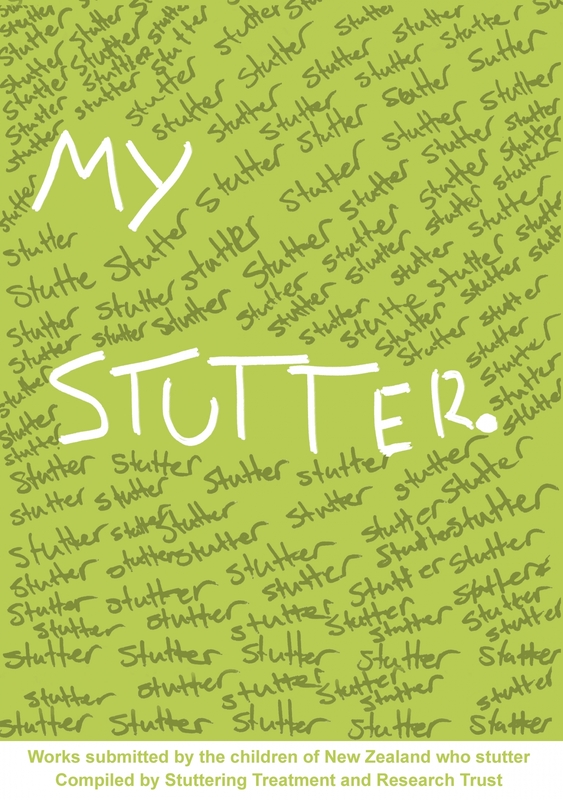 My Stutter is a book of works from Kiwi kids who stutter – through art, poetry, and essays, these talented kids do a fantastic job of emphasizing the unique experiences of a person who stutters. Ever wondered what it would be like if you couldn’t speak? Maybe you’ve experienced it yourself? Stuttering is something that affects 45,000 New Zealanders and yet relatively little is known about it by the majority of the population. If you’d like to know what having a stutter is like, or you would like to read about the experiences of people who stutter just like you, take a look at this book and you will get a real inside look. We have had submissions from many kids of all ages around New Zealand who stutter, who have shared their unique experiences as a young person who stutters in the form of poetry, stories, and drawings. These talented young kids share their triumphs, failures, low points, and high points, in the hope that their experiences can help another person. This is a lovely and sad and insightful book. It’s a fantastic book for children without a stutter to understand what it might be like to have a stutter, and great for those who stutter to have a variety of feelings explored. I am a Speech-Language Therapist so it’s also an excellent therapy resource to broach those tricky feelings in an understanding way (by first saying ‘this is what .x. said they felt…when have you felt like that?). Highly recommended book! Children from 5 to 13 have written thoughtful, moving and insightful contributions or contributed by art or poetry to create this important book. Very helpful facts about stuttering are also included throughout. Children and adults alike will learn from it. It is a great resource for people who stutter and for those people who care about them. It is also a thoughtful resource for people who want to learn more about stuttering and its potential impacts and a great conversation starter! Well done contributors and START team alike!